Clearly, silence hasn't worked. This week, news organizations around the state are collaborating to bring attention to the problem of suicide, report on populations at highest risk and share resources on how to prevent it. While the "Breaking the Silence" project won't necessarily provide answers, it aims to start a statewide effort to confront it. Using responsible reporting practices that examine, not sensationalize, suicide, these stories can provide the common understanding, motivation, tools and questions that can help the community mobilize against this public health threat. The data shows just how widespread a problem this is. 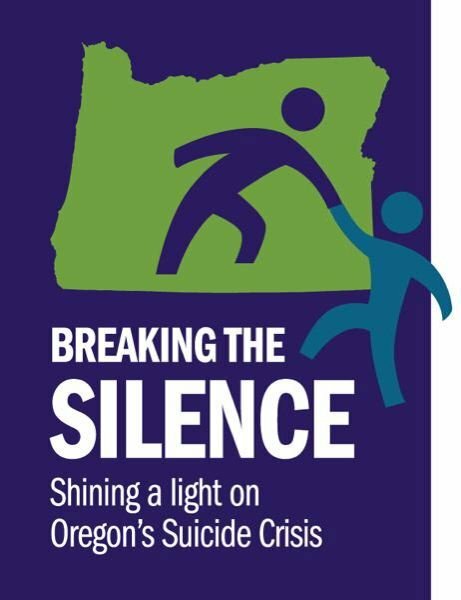 Oregon's suicide rate is 14th highest in the country and suicide is the second leading cause of death for those ages 10 to 34, according to the Oregon Health Authority. One fifth of those who kill themselves are veterans. More than half the deaths are caused by firearms. While those statistics may seem daunting, they can also provide possible avenues where leaders can make a difference. Such data, in the aggregate, can help build support for increased funding for veterans' health services or provide tangible prevention options, such as the 2017 law that allows family members and police officers to petition a court to take away firearms from someone at risk for suicide or causing harm to others.